An important part of this, I believe, is to focus not just on the success stories of women in the industry, but also to also delve into how they got there (particularly around the challenges that were overcome along the way). For women — especially young women — to truly feel empowered, we need them to know that successful people come from the same place as everyone else, and all of us, irrespective of identities, have the opportunity to be successful in this field if we work hard. As part of my series about the women leading the Artificial Intelligence industry, I had the pleasure of interviewing Yumi Alyssa Kimura, the CEO and Co-Founder of LEAD, a San Francisco software startup platform that improves company culture employee experience,and retention through AI. 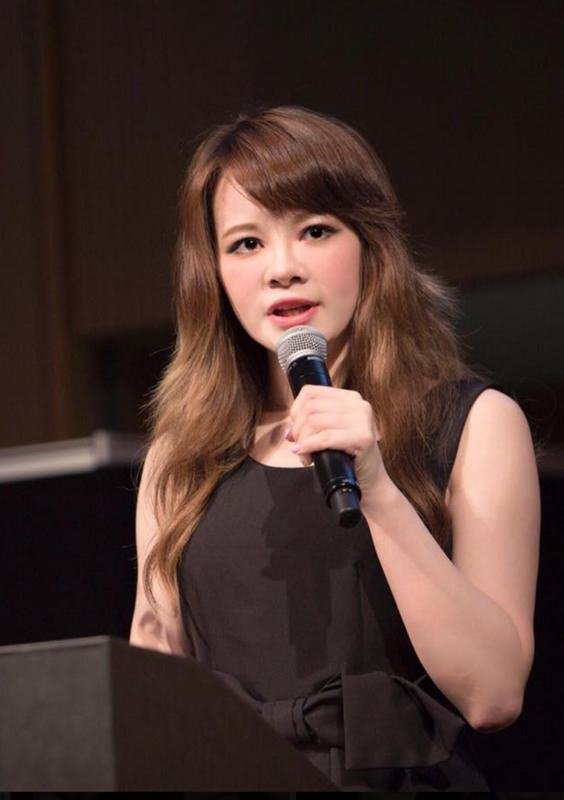 She previously worked as Meitu Technologies’ first Country Manager for the Japan market, prior to and during Meitu’s 2017 $5 billion IPO in Hong Kong. As a serial entrepreneur, she started her first business when she was 18 in China and graduated from one of the top private colleges, Kwanseigakuin University in Japan. I grew up in both China and Japan, which made people always regard me as racial-minority in my own country (sadly I was treated very differently because of this). After graduating from high school my father wasn’t supportive of women pursing further education, so without any financial assistance to support my degree, I was forced to drop out of college. I started my career at 18, founded my own translation business in Shanghai for Japanese and Chinese customers. I was then able to get involved in the real estate business and sold a house for $4 million dollars in 2008. Once I had some savings to help support myself, I was able to attend an ivy league school in Japan, graduating in 2013. Unfortunately, as an ambitious young female in the very male-dominated corporate world of Japan, there were many barriers put in place to ensure that success would remain a quixotic pursuit. In 2013, an American friend and mentor of mine inspired my journey into the world of entrepreneurship in the United States. When I reflect upon how I started my career in Shanghai, to how I became the first female to build a multi billion-dollar tech company’s branch from scratch, seeing 1/3 of women in Japan using our products, BeautyPlus and MakeupPlus, I feel I was lucky to have had so many mentors in my life to guide me. Mentorship manifested in many ways: some mentors gave me one-time advice, while others were there to create projects to help guide me for months at a time. Understanding their impact on my life, I wanted to help other people have an easier time to find those who can inspire them, whether as friends or mentors. I can see the potential of AI to facilitate opportunities for meeting someone and easing into a new mentorship, and I know that companies stand to reap massive benefits simply through creating a better employee experience for their people. That’s why I started LEAD, a platform that foster employee engagement, mentorship and support career growth while solving HR’s biggest challenges: enhancing company culture and retaining employees. Many people have told me that they’ve found my story inspiring. Some of them joked about the similarities they’ve noticed with Elon Musk and Jack Ma’s stories. But in reality, I believe that many people who push themselves hard and fight for the future they want are likely to share similar stories. I know from experience what it’s like to face difficult challenges, and I’ve had my own highs and lows, but I want people to know that they should never give up. Throughout everything, I’ve seen how those who have resources and experience can have a major impact by using them to help other people, which is why LEAD was born. Also, you might have noticed that I dare to dream the impossible. I think this attitude is good for others to learn as well. I started my current startup, LEAD, in the summer of 2017 along with my team. LEAD supports career growth while solving HR’s biggest challenges: enhancing company culture and retaining employees. LEAD matches people that share something in common via its smart algorithm, and also allows employees to search for people that they want to meet, based on various metrics such as their interests. LEAD facilities better communication and provides for better opportunities for mentoring. LEAD is primarily targeted at internal usage, however we also support individuals’ cross organizational growth and mentorship. We make sure that employees trust our platform and we respect their privacy while providing data insights to companies. Companies currently on-boarding new hires are matching employees with mentors using a top-down approach, which is typically handled by a few managers. Employee feedback about their experiences are gathered either manually, or automatically through generic survey systems. The gap between the two initiatives causes incomplete data to be obtained, and the current data analytics processes used by human resource teams are susceptible to bias and blind spots. LEAD is developing a signal platform help employee engagement, better communication, collaboration and mentorship, not just to allow employees to build a sense of belonging, but to build their own board of advisors. LEAD utilizes AI technologies such as machine learning and NLP to gain actionable insights at demographic and team level so that companies can save time and money, and have a better idea about their own organization, and its HR initiatives’ ROI. Right now LEAD is pilot testing with early adopters. We raised a pre-seed round in 2017, and we are raising a seed round of $1 million to support our growth. While we have roughly half million hard in commitments, we are raising the rest from traditional angel investors and venture capitalists, as well as via Wefunder, an equity based crowdfunding platform that allows our future users and customers to support and invest in LEAD for as little as $100. I am grateful towards each and every one of the mentors that inspired me, and to all of the investors who took a chance investing in my company, LEAD, when it was no more than a clickable prototype. LEAD was created to providing individuals with the tools and connections they need at any point in their careers, while providing companies and organizations with aggregated anonymous data to help identify the challenges and associated support that a certain demographic may require. 1. While current AI is itself a product of software development, AI is already being used to generate some code, and in some cases even recursively improve itself. These applications are likely to continue to become more versatile, easier for the end user, and more ubiquitous as the underpinning of many services we all depend on. 2. AI chatbots have really taken off in the last few years (especially in the form of home assistants). While they’ve provided a great source of knowledge, entertainment, and in some cases can bolster productivity, we’ve only just begun to explore the good that they can do. As chatbots become more advanced, we may see many new applications, such as extending to companionship with people who are lonely, or assisting with getting help for those that need it, with nobody to turn to. 3. We’ve consistently been promised self driving cars are 12 months away, and while we can at times be overly optimistic, it’s clear that self driving cars are rapidly improving and filling an increasing number of use cases. Cars can already park themselves, and various tasks on freeways and local roads with minimal driver interaction. As more cars are equipped with on board GPUs, cameras, and sensor suites, vastly increasing the amount of data we have, the pace of innovation is likely to accelerate, and one day we will have the self driving cars that we’ve been imagining for so long. 4. AI still takes time to train, but the payoffs can be immense. It’s been used to successfully analyze exabytes of data, a task that would have previously been financially infeasible when humans were doing the work. The way that people behave, interact, express themselves and communicate yields a rich data set, one that LEAD sees a large potential in using AI to analyze in order to help companies better understand the needs of their people. 5. AI is already beginning to find a useful place assisting doctors by identifying a variety of conditions at a stage where humans traditionally haven’t been able to. The early identification of disease can assist us in not only directly saving more patients, but may also help us gain a better understand of the biological mechanisms behind it, which itself may aid us in creating more effective treatments. 1. AI as a form of weaponry may pose an existential threat to society, similar to when nations started using the Atomic bomb. The future of our planet may depend on the level-headedness of governments in the same way, with consequences even more dire. 2. AI will dramatically change the workforce, and it’s difficult to predict what effects that will have on society. In particular, we risk losing the ability to fundamentally understand how the technology we rely on every day works. 3. The data sets used for training AI have been shown to reflect the biases of our society, not correct for them. Unless we can overcome this hurdle, things may become more difficult for underrepresented groups. 4. AI has been shown to be incredibly accurate when generating fake audio, video, or documents. This may usher in a future in which we can no longer trust the authenticity of any form of media. 5. AI will make tracking individuals effortless. This is already having implications in the ad tech industry, for repressive governments, and even within our social networks. Black Mirror has illustrated what could come of this, and it’s something I’m sure we’d all like to avoid. How these concerns will materialize is still unknown, however it’s something we need to keep at the forefront of our education and legal systems so that we don’t go down the wrong path. While the views of Elon Musk and Mark Zuckerberg regarding the future of AI stand in direct contrast, they share a similarity in that they both profess a certainty about that which we cannot know. In the 1960s the popular TV series The Jetsons portrayed a family living in the year 2000. While this future possessed flying cars and personal household robots — a gross overestimation of the state of technology at the turn of the millennium — it completely failed to recognize a fundamental shift in the workforce: women entering the workforce en masse. Judy Jetson handing her husband and children their lunches on the way out the door every morning now appears as antiquated as ubiquitous flying cars in the year 2000, in retrospect, appears fanciful. This seems to me to provide an important lesson for predicting long term future trends. We should always be cognizant of risks (especially existential risks like AI) to humanity, however we should focus the majority of our efforts on the short and medium term, in which we have a concrete understanding of the problem, and a tangible opportunity to discuss the our approach to oversight and regulation. In this sense, I believe Musk and Zuckerberg have missed the point. Over the last several years, Elon Musk has expressed a variety of viewpoints about AI (from initially investing in Deep Mind as a means to oversee its progress, to founding OpenAI to democratize the progress of AI, to more recently accepting a fatalistic viewpoint towards the future of AI). Of these, I believe that the mission of OpenAI is a laudable one; one that has the potential to partially offset the risk tied to the increasing capabilities the future will bring for AI. While somewhat counterintuitive, the proliferation of tooling with the potential to do large amount of damage to the world may be what can best protect the world from witnessing its malicious consequences. Artificial Intelligence is not the first such example, and likely won’t be the last. Democratizing AI, as is OpenAI’s mission, will help to ensure that no single entity can leverage an overwhelmingly disproportionate amount of power over another. I believe that if AI it is better for society to collectively face the challenges the future of AI will bestow, rather than to trust the benevolence of the entity that first discovers AI’s next breakthrough. As for the public, it appears that the more they interact with AI in their daily lives (voice assistants, driving directions, etc) the more likely they are to focus on the real positive change it can bring to our world (instead of the hypothetical and existential crises of the future). It is up to us in the technology industry to keep providing examples of positive change that AI can bring to all of our lives. I try to have an impact in as many ways as I can. With LEAD, I hope to create a better world for women, underrepresented groups, and employees at a very large scale. On a slightly more targeted scale, I joined the Outreach Committee of the IEEE Global Initiative for Ethical Considerations in Intelligent and Autonomous Systems for opportunities to talk to and meet new people that share similar interests. I share my experiences in person and through the media in an effort to inspire and empower others. And on a more personal scale, there was a Japanese law student who heard a speech I gave in Fukuoka, Japan that inspired him to come the United States to study. Later he applied for an internship at my company and told me this story. 1) Invest in yourself. You don’t need a degree in Artificial Intelligence or Machine Learning, however you do need to read a lot about the basics and stay current with the latest news. Additionally, your can benefit by building your own personal board of advisors to learn from as well. 2) Have self-confidence. A lot of prominent men who give talks (or have written popular articles) about AI do not have degrees in science, computer science, or anything related to AI. They gained their expertise from work, books, and online resources. Women can do the same. 3) Respect other women. Some women are inclined to see other women as their competition, or worse: in some cases women are more likely to regard other women as unqualified over their male counterparts. Women of color are particularly susceptible to discrimination from other women. For us to succeed, we can’t be working against each other as we’ll risk never improving things for women if we are ourselves contributing to the status quo. Although recently women in the industry have been taking a more central role at conferences, in the media, and in the workforce, there is still a lot of room for improvement. An important part of this, I believe, is to focus not just on the success stories of women in the industry, but also to also delve into how they got there (particularly around the challenges that were overcome along the way). For women — especially young women — to truly feel empowered, we need them to know that successful people come from the same place as everyone else, and all of us, irrespective of identities, have the opportunity to be successful in this field if we work hard. During my junior and senior years at college, I worked full time and commuted every week between Tokyo and Osaka. Although it was difficult to balance everything, it was necessary in order for me to be able to support my tuition and living expenses. Every week I would spend 7 hours on an overnight bus after school in order to arrive in Tokyo around 5:45 am, at which point I would go to an internet café to sleep for about 2.5 hours before heading to the office to work. It was an extremely taxing year and half, however I was able to graduate without any debt, and had a head start on building a network in Tokyo while I was still in college. Being acquainted with business culture while still in school aided me in starting a consulting business called Spinnaker Partners (which worked with venture capitalists and startups) right after my graduation. There were many parallels when I first moved to the US. I came here by myself with two suitcases in 2014, and now I’m running a startup, have made new friends, and found a community that supports me through everything. Today, the majority of Americans are descendants of immigrants. If I could instill anything in the psyche of the country, it would be to have everyone spend a few minutes reflecting on the first generation of immigrants that came to the country for work. Times were surely tough back then, however I’m sure they were not without some great stories of collaboration and accomplishment, many of which risk being forgotten. At the same time, there are a lot of negative feelings in this country around immigration, and we’ve risked moving away from the globalization of the last few decades, back towards insular societies. The world, while it can feel grim, has improved in so many ways, even over the course of my life. To name just a few from a very long list: we’ve lifted hundreds of millions out of poverty and seen dramatic increases in the accessibility of education (especially for women). Surely we face very different challenges today than those here before us, however, in several ways we actually have it easier than those who first arrived in America. If we can learn to leverage our cognitive and cultural diversity as an asset, we’ll be able to accomplish great things and, perhaps, one day have stories of our own enshrined for generations.